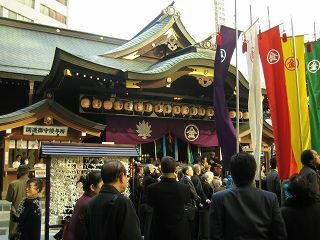 Many people visit to pray here. 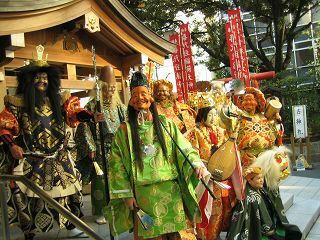 Especially new years time, this is the annual events for Japanese people. They are "Shichi fukujin" that are legendary 7 gods. This is SHISHI-mai,that is not the root of Godzilla! 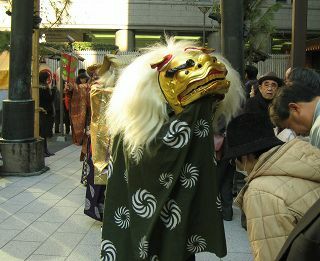 SHISHI-MAI was deified a lion, and made it an idol.